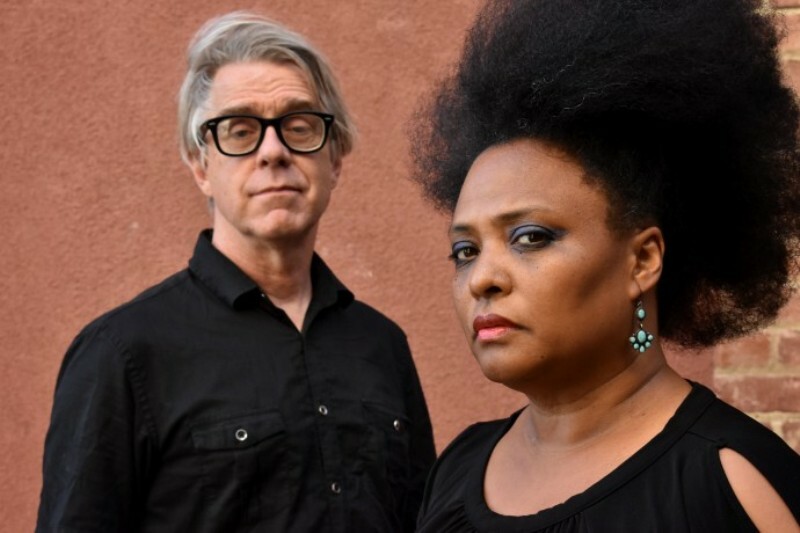 The Bellrays have been mixing punk, funk, rock and soul for a long time now. The returned with a new album since 2010 at the end of last year, with Volume Two released last month. They’re also off on tour, taking in The Westgarth in Middlesbrough on Saturday 3rd March and The Cluny in Newcastle on Wednesday 7th March. Before that, they joined us for a new Bunch Of Fives, and a fascinating look at how the Star Trek universe links to The Bellrays universe. When we were first starting out as a band it’s like the original sci-fi show. Our cast of characters was diverse and each looking to boldly go where no one had gone before except that every time they’d get somewhere…someone was already there. We ran into that a lot in the beginning, finding your way, what works and working with others. The thing about the original series was that the topics the show was trying to celebrate were controversial at the time and there were hard held beliefs that the writers had a hard time pulling away from. They couldn’t shake the political and social climate of the day. They had to wait for the seeds they planted to take root in order to fully expand on what they wanted to say. The Bellrays flew in the face of a lot of that in the beginning. We’ve had to wait to be able to be accepted on the face of who we are, not whatever scene dictated. This show took something iconic (the o.g. Series) and really did everything it could to separate itself from it. It wasn’t afraid to re-invent itself and really spend time trying to get to the core things that made the original show so iconic, namely, celebrating exploration, diversity, dialogue and humility. The original series forced the door to crack open so that the ideas presented could percolate or smolder. These are tenets of what The Bellrays are all about and as time went on what we were doing gained acceptance and made it easier to go where we wanted to go. There are different ways of doing the same thing and the journey is usually more important than the destination. How to take an idea that is all about exploration and put it in a static place? That was what deep space nine was about. Although it probably had the least interesting cast of characters the central idea of this show was that, simply by putting yourself somewhere in the universe you put yourself in the path of new experiences. I always saw the wormhole that opens up in the series as that two way portal to creativity. Things and ideas both come to you and allow you to travel to them. I also liked the idea of not being able to see through to the other side. Not knowing where you’re going can be a great benefit sometimes. You have to overcome your fear of the unknown. The Bellrays was mostly a “live” band. We worked songs not recording them. We began doing more internal exploration with line up changes and learning to write for that. Again, how to take something so iconic that the cast of characters has increased in popularity for 50 years and not just make them relevant, but make them even more popular? No new characters (maybe Pike), just an idea that these were great characters that needed to be alive in today’s version of the future. What The Bellrays saw early on was the cast of characters in music, rock, soul, punk, funk, etc. And our need to re-write them so that we could tell our story. So often in the world today, what ever you present yourself is what people expect to to remain until your dying day. What is known as branding in our universe would have been death to The Beatles. We keep rocking and changed how to present it but still staying true to our core. One of the more curious aspects of Star Trek is that each subsequent version of it that goes backwards in time gets drastically more futuristic looking. Discovery happens before the original series. But looking at it, it’s hard to align with that o.g. Series because it looks so much more like our current view of the future. The progress of technology is a palpable force when you’re trying to stay true to a cast of characters and set of ideals that are both iconic and popular. The characters have to stay true through the process of making them current. When The Bellrays started out, digital formats were just beginning and we saw ourselves not needing it, even resisting them because the process didn’t adhere to our iconic ideals. But after awhile it became evident that all the new tech was simply a new way to tell our tale. It’s the story that matters and the story that lasts, no matter how it’s told or through what medium it’s told. Anyway, all of our heroes were simply using the state of the art technology that was available to them at the time. Had they been around today they would’ve surely used today’s equivalent to get the job done.